Join us to hear Geoff Grimble share strategies for building effective social marketing campaigns that drive positive behaviour change. 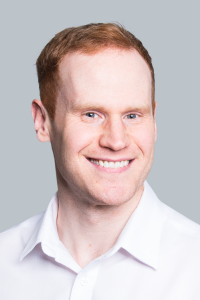 Geoff Grimble, Account Director, DDB Worldwide Communications Group Inc.
As a Senior Account Director and Planner at DDB, Geoff leads strategic planning for a variety of province-wide behaviour change campaigns. His past work has addressed complicated social issues that include: climate change, tobacco prevention, traffic safety, nightlife violence, binge drinking, and power line safety among others. 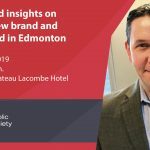 After graduating from the University of Alberta School of Business, Geoff’s passion for positive social change inspired him to start an advertising agency devoted to creating campaigns for social causes. After running that agency for four years, he joined DDB in 2011, where he has continued to hone his social marketing skills by building strategic plans for the development, implementation, and evaluation of communications campaigns focused on driving positive behaviour change.